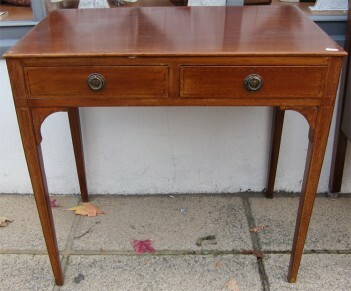 This two drawer table is in its original polished finish and has aged to a mid brown colour. It is Edwardian so dating between 1910 - 1920, has its original handles, lovely inlay on the drawer fronts and is in very good condition and it would seem a shame to paint this one. This is a difficult to find size, we don't get these very often.